The spotWater detector is an advanced microprocessor-based design capable of detecting distilled water. 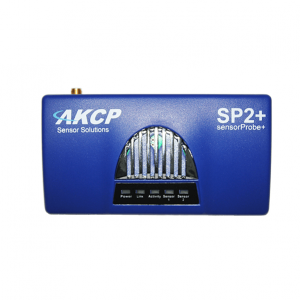 This spotWater detector is designed and manufactured by AKCP. Our spotWater Detector is an exclusive design capable of detecting the presence of even distilled water. 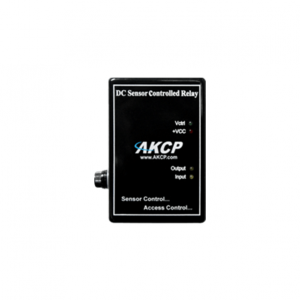 The spotWater detector contains microprocessor controlled capacitance measuring circuitry. This is far more precise than standard commercially available spotWater detectors which measure the resistance of water. The resistance of water can vary depending upon the impurities in the water. Normal resistance type monitors are unable to detect the presence of distilled water due to its high resistance. The entire circuit is encased in epoxy allowing the spotWater detector to function while submerged in water. The SP2 will retain any error condition until it is read via an SNMP get. Therefore if a spotWater detector encounters a critical condition at any time it will report that condition before it returns to a normal state. 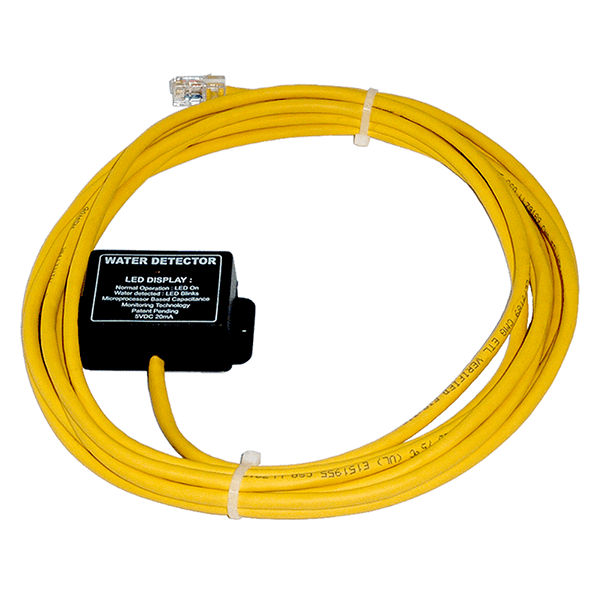 The spotWater Detector detects water leaks and flooding with a WET/DRY indication in software. SNMP polling via SNMP get is available. Web browser interface available. When an alarm condition is activated the description and location of the fault can be sent via an email or SNMP trap on the sensorProbe. Sensor type – patent pending, microprocessor controlled, capacitance measurement technology Communications cable – RJ45 jack to sensor using UTP Cat 5 wire, Maximum extension cable length 150m (500 ft.) with approved low capacitance shielded cable or UTP.